Marlette Pain de' Epices Baking Mix- This is a French brand that specializes in baking/bread mixes. This one is for spiced bread, a traditional French holiday cake. I think this is the same thing as Gingerbread. This box makes three servings and it's suggested to make it go farther by using mini muffin tins. Serve it with pate or jam. En Luen Pineapple Cake- Made in Taiwan This is a buttery cake filled with tangy jam. 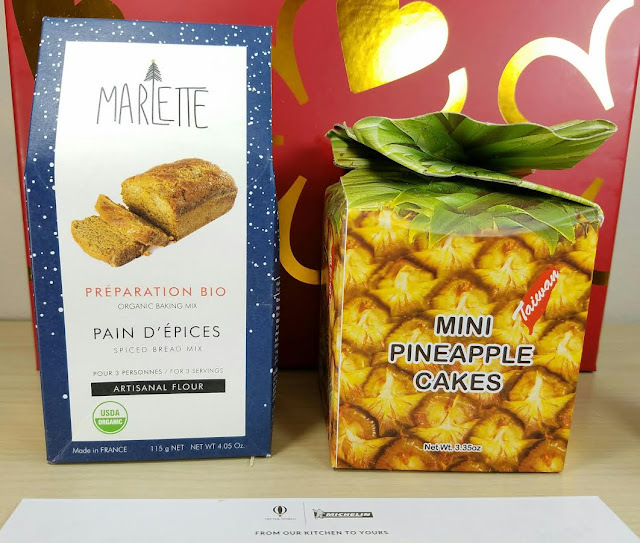 This is a very common pastry in Taiwan and because the Taiwanese word for pineapple is very similar to the phrases for prosperity and fortune, it is a very common gift during the Lunar New Year. 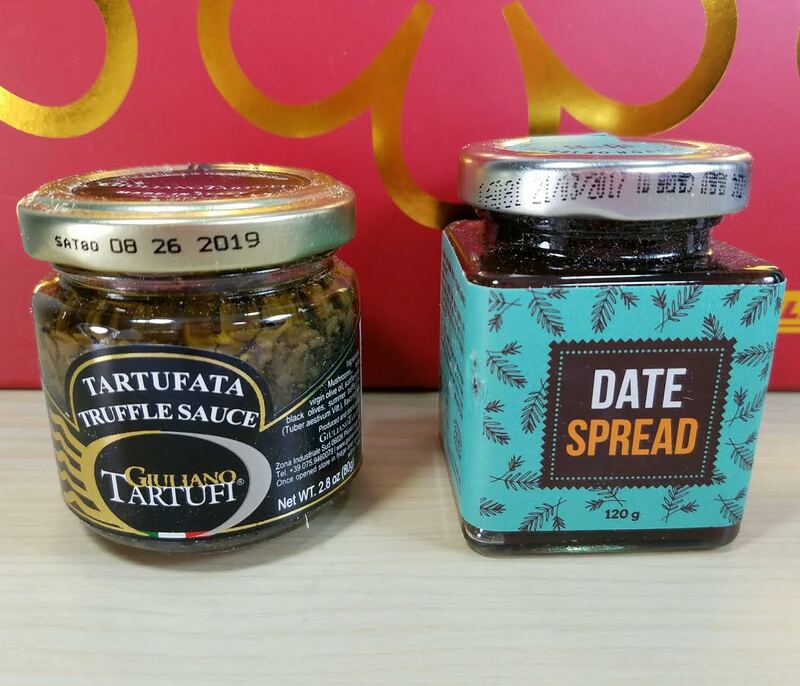 Giuliano Tartufi Truffle Sauce- Guiliano has been making truffle products since 1980 in Italy. This can be mixed into dip, spread onto crostini or folded into omelets. Yoffi Date Spread- From Israel, dates are a popular holiday food throughout the Mediterranean. 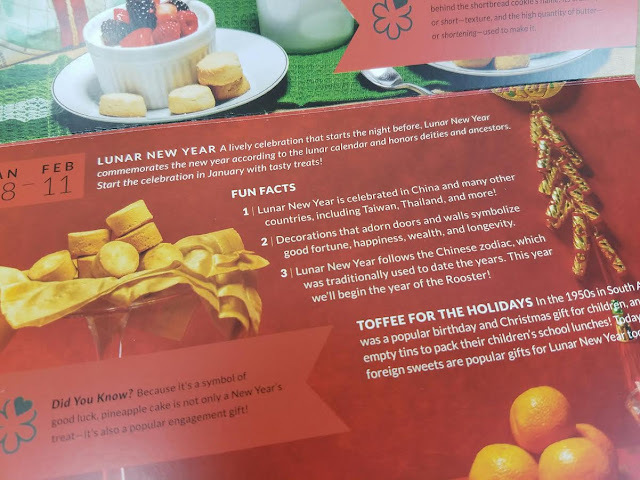 This particular date spread is made on a community farm in Israel that employs disabled individuals, helping them earn a wage for their families. I don't really like dates all that much. I keep trying them, hoping I'll change my mind but so far no luck. Still, this will be added to our cheese plate for guests to enjoy. Fox Gourmet Lemon Curd- This is an English fruit preserve made with lemon, sugar and eggs. You can use this in desserts or serve it with scones. My favorite? Tarts! Fill the mini tart shell with lemon curd, add a dollop of whip cream with a blueberry on top! If you're really fancy, a mint leaf looks awesome! 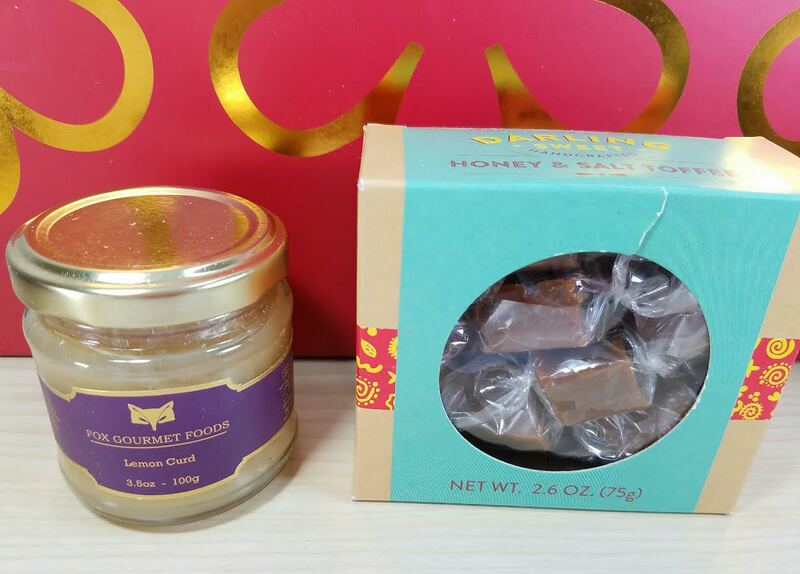 Darling Sweet Toffee- These toffees are made in South Africa with pure butter. Individually wrapped, they're perfect set alongside a cup of coffee. Or just eaten all on their own. One right after the other. Heh. 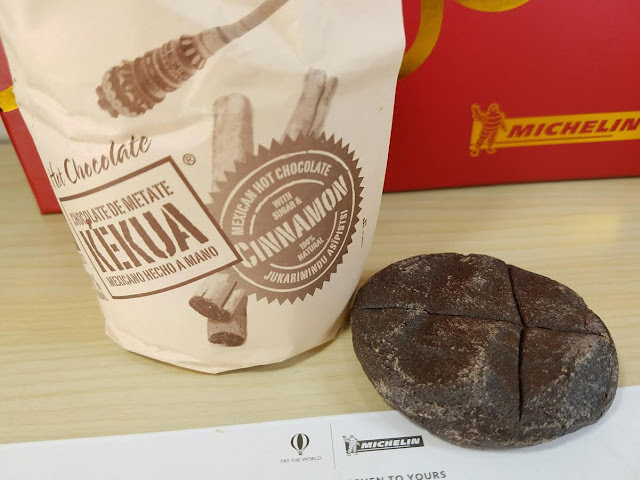 K'ekua Hot Chocolate Tablets- I am a HUGE fan of hot chocolate. I'm a bigger fan of Mexican hot chocolate. This stuff is official business, let me just say that. Make with Mexican cacao and prepared according to Aztec tradition, this is serious chocolate. Dark and delicious with hints of cinnamon. These patties are an unusual shape because they're hand molded! I made this just for review (because I'm not sharing it with anyone) and I'm in chocolate heaven. 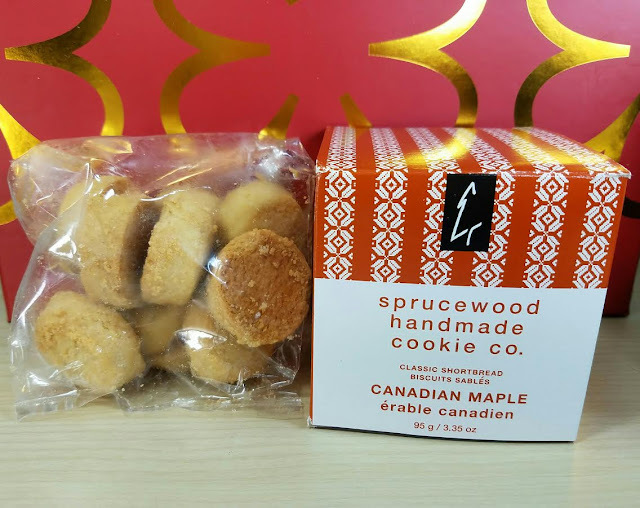 Sprucewood Handmade Cookie Co. Shortbread- Honestly, I've never been a fan of shortbread. Maybe something is wrong with me. I've hated it ever since I was little and my mom would make it. These are made with maple syrup and would probably be perfect as a cake garnish. VERDICT: I'm really pleased with the contents of this box. These are things I'd never normally buy but I can use everything for parties. With the ideas and recipes included, it's even easier. 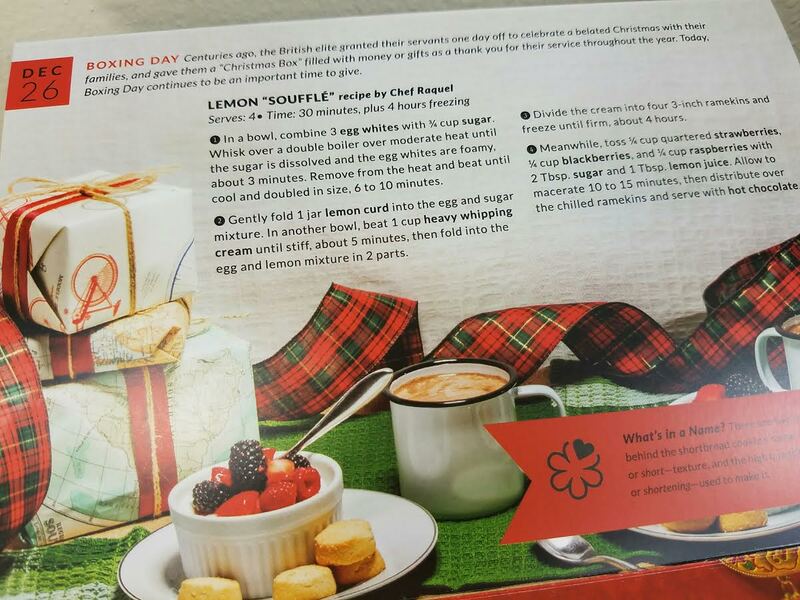 If you've got someone on your gift list who loves to cook and try new and interesting foods, this might be the perfect thing! If you would like to sign up for Try the World, you can do that here. 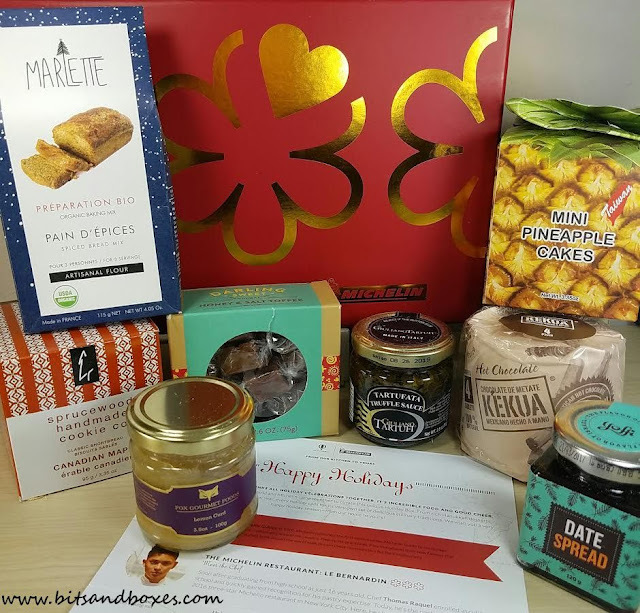 Use this link to get a free Italy box when you start your subscription with this Holiday box! That's a great deal! *affiliate links were used in this post. This box was sent complimentary for review purposes. all opinions are mine.